Updated user interface. Simple and streamlined for mobile, tablet and desktop browsers. Easy one time giving. Just name and email required to give. Customizable. Add your church logo and a custom thank you message. Recurring giving. Makes giving more predictable. Donor portal. Donors easily manage their cards/accounts, see their pledge status, download statements and give again. Email receipt. Updated and mobile responsive. You choose the giving options available for donors: credit cards, debit cards, and/or bank accounts. Fastest method of giving. As easy as sending a text. Uses a local phone number that you setup. Allows for refunds if the donor typed an amount wrong. Give to different funds via keywords that you define. Setup recurring giving with just a text. Login to your giving account via text to manage cards and make changes. 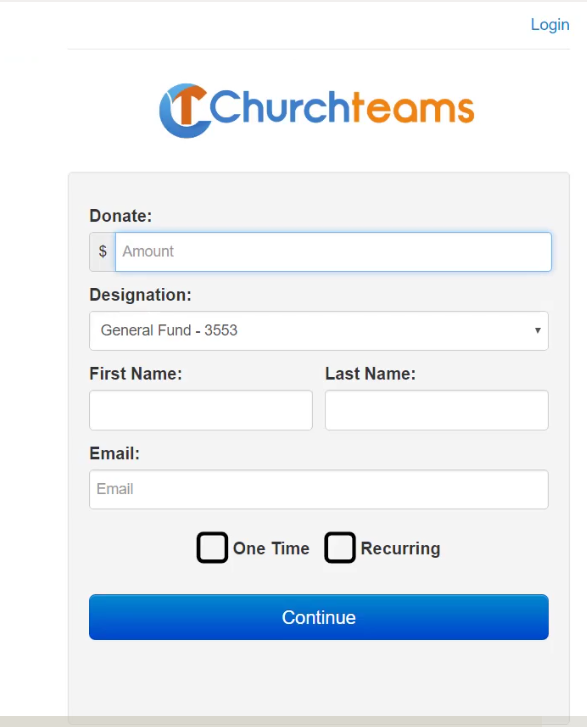 Help command will show funds for your church and give instructions. Credit, Debit, and Bank Accounts can be used to donate. Go to Settings / Contributions / Online Giving. 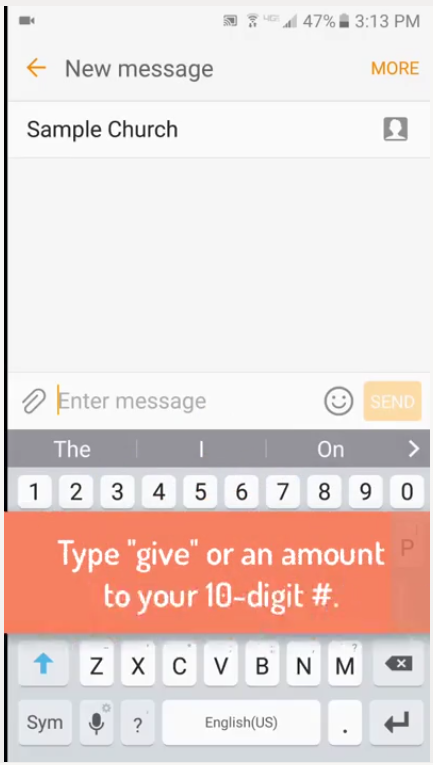 Click Online Giving Options / Text to Give. Enable Text to Give and select your local number. Update and review Online Giving / Text to Give Options. Add your text to give key word for each fund (Settings / Contributions / Designations/Funds). 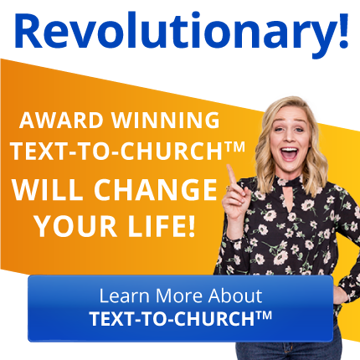 Note: Text to give is $10 per month. Prorated on your next Churchteams bill. Contact Bryce Collman: bryce@churchteams.com or (877) 505-3260. 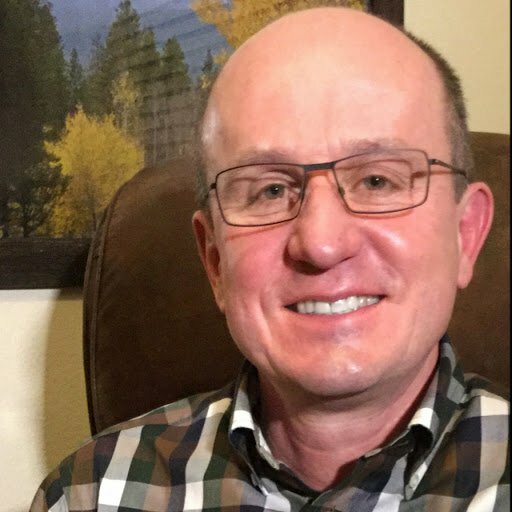 He will answer any questions you have and set up your account.